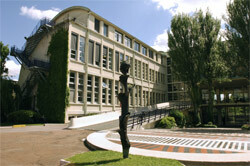 Founded in 1997, the Laboratoire Spécification et Vérification (LSV) is the Computer Science laboratory of ENS Paris-Saclay, and is also affiliated to the French Centre National de la Recherche Scientifique (CNRS) as UMR 8643. Research at LSV is focused on the verification of critical software and systems, as well as on the verification of computer system security. 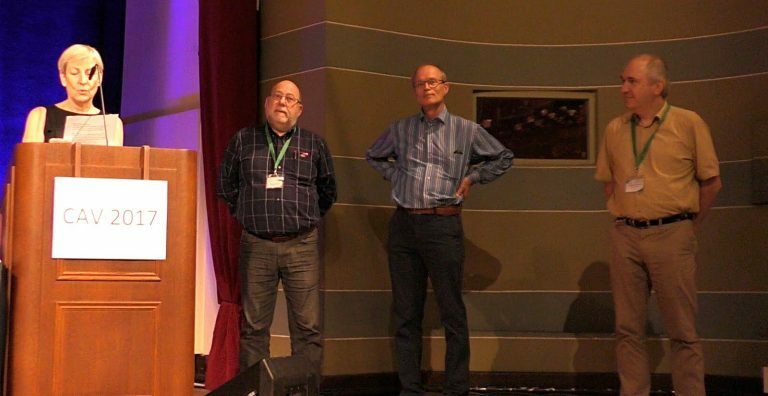 Jérémy Dubut received the Best Theory Paper Award at ETAPS 2019 for his contribution Trees in Partial Higher Dimensional Automata. After finishing his thesis at LSV, Jérémy joined the National Institute for Informatics in Tokyo. The Spring School on Formal Methods and Machine Learning co-organised by Stefan Haar and Benedikt Bollig will take place on 4 -- 7 June 2019 at ENS Paris-Saclay. Former LSV PhD student Amina Doumane will receive the 2018 Ackermann Award for her dissertation On the infinitary proof theory of logics with fixed points prepared at IRIF and LSV. The Ackermann Award is the European Association for Computer Science Logic (EACSL) Outstanding Dissertation Award for Logic in Computer Science. It will be presented during the annual conference of the EACSL (CSL'18) to be held this year in Birmingham, UK. Lucca Hirschi received the dissertation award of the CNRS group Sécurité Informatique for his thesis Automated Verification of Privacy in Security Protocols: Back and Forth Between Theory & Practice prepared at LSV. Benedikt Bollig, Marie Fortin, and Paul Gastin received the Best Paper Award at CONCUR 2018 for their paper It Is Easy to Be Wise After the Event: Communicating Finite-State Machines Capture First-Order Logic with "Happened Before".